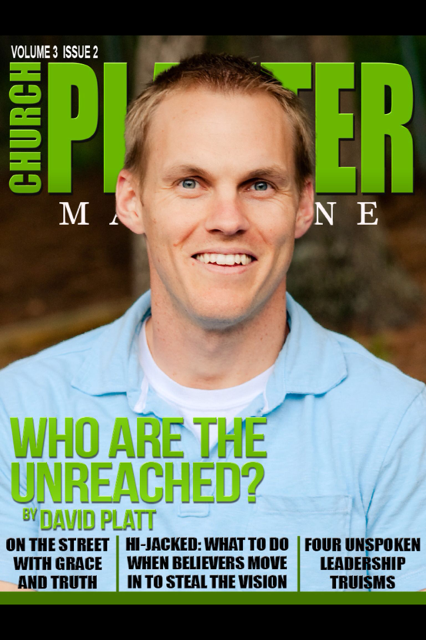 This article is a cover article for Church Planter Magazine. Get the App for your iPad and iPhone here. “Mayday! Mayday! Mayday!” was the voice from Captain Jason Dahl and then another voice came over the plane’s loud speaker, “Ladies and gentlemen: here the captain. Please sit down, keep remaining seating. We have a bomb on board. So sit.” That was the voice was Ziad Jarrah, one of the hijackers from the United Airlines flight 93 on September 11th, 2001. While this was such a tragic and mortifying event and hardly one comparable to churches that are “hijacked,” the fact that churches are sabotaged may have the same mortifying feeling to the church planter or pastor. Whether you’re a mega-church pastor or a church planter with a small core team, there will always be other believers who will come in, as the Apostle Paul put it, “to spy out our freedom that we have in Christ Jesus…” (Gal 2:4). Perhaps their intentions are not as severe as to bring in damnable heresies, nor with malice to destroy and kill; nonetheless, when transfer growth occurs within a core or within a thriving church, believers can even subconsciously, attempt to hi-jack the vision of the church. From experience, let me list three ways to protect the vision of your church. My wife and I once belonged to an Acts 29 church plant. At the time, I was in my early seminary years and should have been listening more than I was thinking and talking, but one essential that I noticed, was the way that the pastor soaked everything in. He was a hawk. He knew who everyone was and when a visitor came in, he made sure to ask where the visitor came from, if they belonged to another church, were unchurched, visiting, or seeking a home. At first, I thought this was a little intrusive, but one day we took a long ride to a conference and along the way he taught me an invaluable lesson about vision and people—especially other believers. It’s no secret to many pastors, but I was young and inexperienced—that when believers leave a church, they tend to bring their problems, concerns, and soon-to-be corrections, with them. Basically, they want to make your church their perfected home. This is when believers can hijack your church’s vision. For some smart church planters, they may employ a policy of “no believers,” and while I have never taken things to that extreme, I do ask all of the right questions. The need to have the hawk eye is for the purpose of protecting the vision and the flock. Other believers who “know” church may have good intentions, but they may not understand what you’re trying to accomplish for the kingdom. Over the few years of building a church from a core of 20 to over 120, one of the main aspects I focused upon was conversion growth. I have become very proficient at spotting church hoppers and believers seeking out a new church to fit their mold. When I’m told that they’ve come from another church, I try to ask why they chose not to attend it that particular Sunday. The observant eye and ear can pick up on body language, tone of voice, and content/context of words. Sure, it takes discernment, but the last type of person that you want coming into the fold is someone who is already bitter, holding a grudge, and a sewer of discord. Inevitably, that person will eventually sow the same discord, division, and bitterness into your church. As well, the visitor may be very well intended, but completely miss the vision altogether—this is when they want to be hands on in everything, or perhaps an arm chair quarterback (i.e. you should do this, you should do that, etc.). Be observant of people. I read a quote recently accredited to Tyler Perry, which stated, “It doesn’t matter if a million people tell you what you can’t do, or if ten million people tell you no. 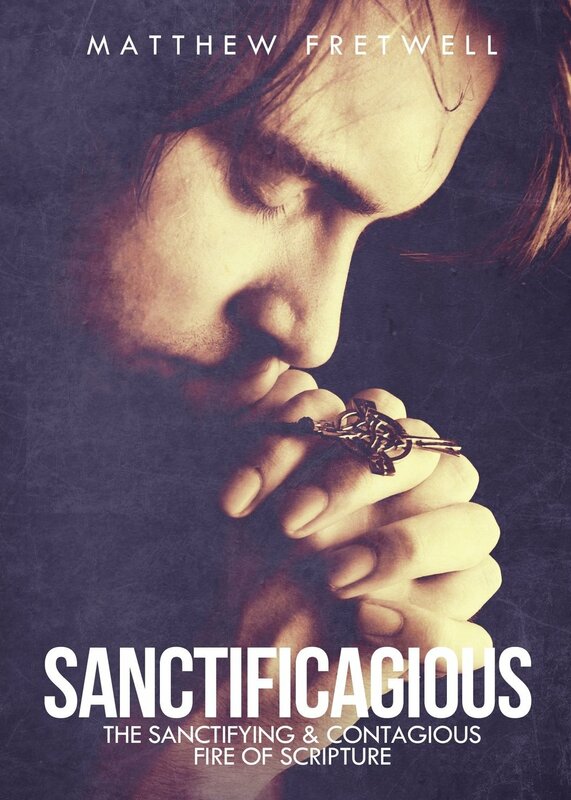 If you get one YES from God, that’s all you need.” That pretty much sums up the fortitude that a pastor needs to have. While people are surely important and we love them (regardless), those who come in with their own agendas need to be shown the door—the quicker the better. I realize this sounds harsh, but for some believers, they are coming “to” church instead of being the church, and while that, too, may sound cliché, they just won’t fit in with how your church is following its intended vision for growth and outreach. In the end, it will be better for all to part ways. You may be able to help them find another church in the community, which is more suited for their beliefs, but be polite. There is a time when this becomes apparent and the use of discernment is vital. In another church, I once had someone join and then after a few weeks make ultimatums and demands of change, none of which were aligned with the vision that was designed for that church (note to self: make sure you go over the reasons for joining and the candidate understands the vision). And yet, through many conversations, this person just couldn’t understand what church planting was about and how we were reaching people. It was time for me to spell it out for them—“this may not be a good fit for you, I’m sorry.” Did they look surprised, yes—but it was for the best. Does it hurt? Yes, it definitely doesn’t feel good, but just like Moses had the vision to lead the people towards the Promised Land, those few men who spied out the land did not follow that vision, nor believe that God was capable to achieving it through them. In return, it took Israel a lot longer (40 years) to achieve the vision and mission that God had for them. Whatever you do, do not be intimidated by a wallet. Some believers actually think that their money matters (or that it is actually theirs); that God is not in control, but instead, the Bank of Bob Smith. This can be especially true for the small church planter who has only 20-30 people and one person with the deep pockets. That one person, if he or she is not gospel and Christ-centered can fracture a core if they do not get their way. For this reason, do not ever allow the offering of one person to be so significant that you lose your focus on the mission and vision. That doesn’t mean that you ask someone to give less, it means to become less dependent upon their offering—maybe put some away in a separate fund, and use a certain amount for general funds. Either way, Christ comes first, every day, all day. If you always have this mindset, you are essentially preparing yourself for anything that comes along. However, let’s be honest, this scenario intensifies when the church grows to about 80-100 and the church plant takes on some debt or a pastor’s salary (like yours!). Now, all of a sudden the real anxiety filters in. In the restaurant business, we use to say, do not bite your nose off to spite your face; meaning, you never wanted to wash dishes, so you were careful about what you said and how you treated the “dishdog.” But once his work was done, then it was ok. Don’t be like that. You’re sending a false signal that money trumps vision—it doesn’t. A true authentic move of God happens when obedience and surrender to God are present. This doesn’t mean that there will a gravy train of money flowing in when Daddy Warbucks leaves town; no, it may just be that God will bring you through a difficult stage for later understanding. We don’t always need to be in a growth stage. Remember, there are seasons of planting seeds, growing, cultivating, and harvesting. So, I believe that if you apply these three things: being observant, ready to release, and prepared to lose income, your vision should remain intact and passionate. And that is the main goal that Christ is always glorified and His mission is met with full unity, accord, and love: “walk in a manner worthy of the calling to which you have been called” (Eph. 4:1-3 ESV). God bless. “Summary of Flight 93″. United States District Court for the Eastern District of Virginia. Retrieved June 23, 2008. Hirschkorn, Phil (April 12, 2006). “On tape, passengers heard trying to retake cockpit”. CNN. Retrieved June 23, 2008.